A clear sky. Low 29F. Winds NW at 5 to 10 mph..
A clear sky. Low 29F. Winds NW at 5 to 10 mph. 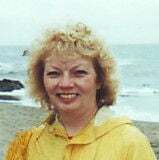 Mary Susan Dorion, age 75, of Jacobson, MN passed away Thursday, March 21, 2019 at her home surrounded by family. Mary was born in 1944 to Arthur and Lucile Kirkeby in Rice Lake, WI, the second of five girls. Mary grew up, and attended school in Barron, WI. Mary worked for 18 years at Park Nicollet in St. Louis Park, MN as a receptionist until moving to Jacobson, MN in 2000. Mary then worked for Arrowhead Promotion and Fulfillment. Mary met Edward Dorion in 1998 and they were united in marriage on March 12, 2004. Preceded in death by her parents, Arthur Kirkeby and Lucile Winton; infant son, Troy; sister, Candace Maser; brother-in-law, Richard Johnson; and sister-in-law, Bonnie Lemke. Mary is survived by her husband, Edward; sons, Arick Edberg and Aaron Edberg; step-son, Steven (Rachel) Dorion of Onamia, MN; step-daughters, Kristine (Dave) Berglund of Nowthen, MN, Cindy Dorion of Glendale, AZ, and Karen (Joel) Collins of Elk River, MN; sisters, Brenda Guard, Marcia Johnson, and Kathy Randall; 16 grandchildren; 7 great grandchildren; and special friends, Paulette “Polyester” Rasmussen and Judy Worrath. Visitation will be Tuesday, March 26, 2019 at 11:00 a.m. at Carmel Lutheran Church in Jacobson, MN followed by the Noon Funeral Service. Rev Mark Wagner will officiate. Burial will be at Ball Bluff Cemetery in Jacobson, MN.